I've always been of the opinion that people tend to give up just before the final hurdle, but it was only recently that I began to wonder if this applied to small, daily tasks as much as it applies to big, far-reaching goals. So I adopted a 5-minute rule to find out. Every time I wanted to stop typing and take a tea break - which is roughly every 22 minutes - I resisted the urge to get out of my chair and wrote for another five minutes. Every time I wanted to throw my drum sticks across the room and take up the piano instead, I just took a deep breath and practised for five minutes more. As someone who struggles to start and finish tasks, the knock-on effects were extraordinary. Perseverance of any kind of course builds resilience - and the extra few minutes are cumulative - but the most interesting discovery was what exactly happened in those five minutes. Suddenly the beat I was trying to play would come alive or the word that was eluding me would pop into my head. It was as though I was giving up just before my brain had a chance to consolidate the information and make a connection. I told a friend about it. "I'm going to do that with absolutely everything," she said at once. "Except eating..."
This is a variation on the 5-minute rule that is often espoused by time management experts. The general gist is that rather than allocate large slots of time to tasks that you'll probably end up putting off, you instead just commit to five minutes, which invariably becomes 10, 15 and so on. 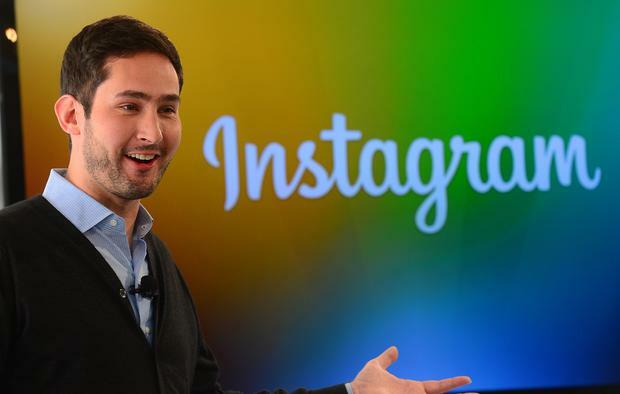 The billionaire co-founder of Instagram, Kevin Systrom, recently raved about the technique. "If you don't want to do something, make a deal with yourself to do at least five minutes of it," he said. "After five minutes, you'll end up doing the whole thing." Elsewhere, time management consultant David Allen recommends the 2-minute rule - any task that takes less than 2 minutes should be done right away - while personal development writer Gretchen Rubin has whittled it down to a 1-minute rule, which she attributes to making her "more serene [and] less overwhelmed". BJ Fogg, the head of the Stanford University Persuasive Tech Lab, has a blanket term for techniques like these: 'Minimum Viable Effort', and he advises people to think small if they want to build better habits. "To create a new habit, you must first simplify the behaviour," he says. "Make it tiny, even ridiculous. A good tiny behaviour is easy to do - and fast." It's even easier when you subscribe to what Shawn Achor, author of The Happiness Advantage, calls the '20-second rule'. "If you can make the positive habit three to 20 seconds easier to start," he says, "your likelihood of doing it rises dramatically. "And you can do the same thing by flipping it for negative habits," he continues. "Watching too much television? Merely take out the batteries of the remote control, creating a 20-second delay [that] dramatically decreases the amount of television people will watch." When habits are easier to start, we essentially short-circuit a cognitive bias known as 'delay discounting', which is the tendency to overvalue short-term rewards. Think of the person who impulsively spends €200 on a pair of shoes when she is trying to save for a holiday. The 20-second rule, in this scenario, would be leaving the credit card at home when she goes shopping. Batch cooking on a Sunday to ensure that you make healthier food choices during the week is another example of the technique, albeit a slightly more time-intensive one. "Focusing on small steps allows people to achieve their goals faster than if they focused on dreams," explains psychologist Sean D Young in Stick with It. "Focusing on small steps also keeps people happier and more motivated to keep trying because they get rewarded more frequently." In other words, if you want to clean out a cupboard, do it one shelf at a time. If you have to pack a suitcase, do it over three or four evenings rather than a few hours before you leave for the airport. If you want to organise your inbox, get into the habit of deleting a certain number of emails each day rather than trying to get rid of 10,000 in a weekend. It's much the same with health and fitness. Everyone wants instant results yet anyone who has lost weight - and kept it off - knows that small, consistent lifestyle changes are more effective than any fad diet. If you're about to embrace the 5:2 or the 16:8 diet, why not just try what the Japanese call hara hachi bun me, which involves eating until you are 80 per cent full. Likewise, before embarking on a sugar detox, why not start with a teaspoon less in your tea or coffee? These tiny tweaks may seem inconsequential at first, but they are catalysts for a chain reaction, especially if you lack impetus or follow-through. When we stop thinking of the final outcome and instead hone in on the finer details, we make tasks more manageable and achievable. In our rush to achieve we sometimes forget that small and steady always wins the race.